The Plan the Possibility booklet explains what the Post-Secondary Transition Plan is and how schools use it to help prepare students for the future. It will introduce several terms and explain them in student-friendly language. Please watch the video below for a short sample of what the full Plan the Possibility video covers. Download the Plan the Possibility Booklet. Download the Worksheets that correspond with the video. To request physical copies of the booklet, please email us. The “Plan the Possibility” video can be shown as a whole or as four individual segments, each focusing on a different aspect of the transition process: Dreams and Goals; Post-Secondary Transition Plan (PTP); Barriers: Problems / Concerns; and Successes. Activity and discussion worksheets for the first three segments are also available under the first download link. They are provided to promote discussion and enhance the content of the video, “Plan the Possibility.” Resources can vary across the state, so we recommend you provide a list of local resources available to students and families in your community. As students, families, schools, providers and employers become more aware of the potential options available, they will be better equipped to Plan the Possibility! 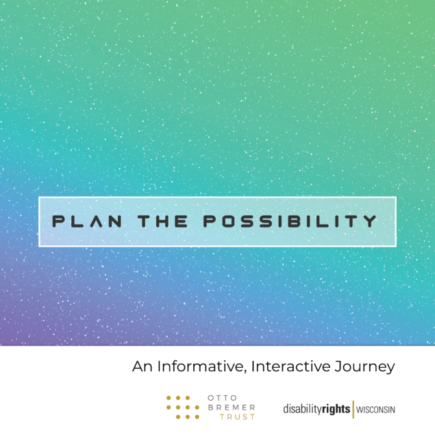 Plan the Possibility was created by Disability Rights Wisconsin with funds from the Otto Bremer Trust. Being at home was able to offer stability and routine, and focus on specific needs for present and future. Now Alexis works part-time at a vet clinic. 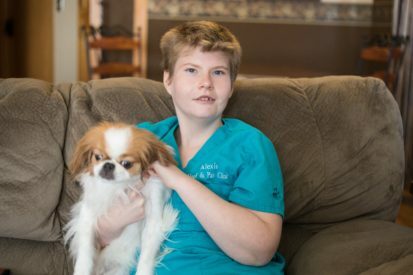 Alexis loves dogs, so they found job experiences working with animals. 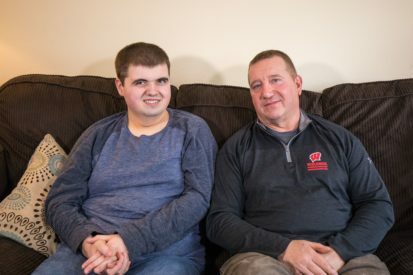 Cody’s dad said some parents shunned the family when they didn’t put Cody in the “special” school. He was determined that Cody would participate in the public school and eventually gain some independence. Cody’s special education teacher, Jessica King, was a great partner to Cody and his family. They focused on life skills with jobs at a gas station and a green house. At 18 he began to work with DVR & IRIS, and things took off from there! Hannah (21) has a seizure disorder, mild CP and developmental delays. She attended Barron Schools, and Project Search finishing last May. 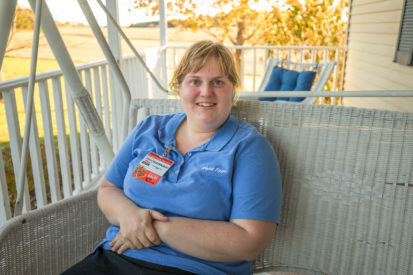 Her family was apprehensive, not sure how employment would go and didn’t know what possibilities would be available for Hannah. Hannah is now working 3 days/week for KwikTrip, which is a great fit for her! James uses hearing aids but is able to speak clearly. 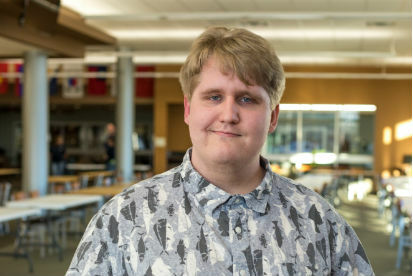 He attended school in Hudson, didn’t have ambitions for the future at the time and graduated at 18, and was not aware that he could have stayed longer. Knowing that, James says it would have been beneficial to have the extra time. He said the school tried hard to meet his needs but had limited resources. 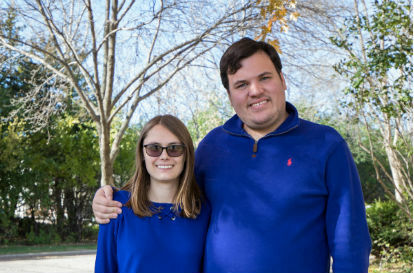 Zach and Lindsey were both diagnosed with autism at a young age. At that time, Zach was non-verbal and had many behavioral issues. Many people told their families that they could never be independent and would always live at home. Today, Lindsey and Zach are dating and live independently in an apartment together. Lindsey can drive, has attended college and is fluent in Spanish. She works at the Hudson YMCA for member services and the kids department. Lindsey is also a skilled pencil artist and currently has her work displayed at Cracked Barrel Winery. Zach has been working at the Hudson Theater for the past 10 years. Like Lindsey, he has made massive strides in his development in order to be independent.